The briefing paper comes as nearly 200 countries meet in Bonn ahead of crunch climate talks in Paris later this year, and shows that G7 coal plants emit twice as much CO2 as the entire African continent annually, and 10 times as much as the 48 least developed countries put together. 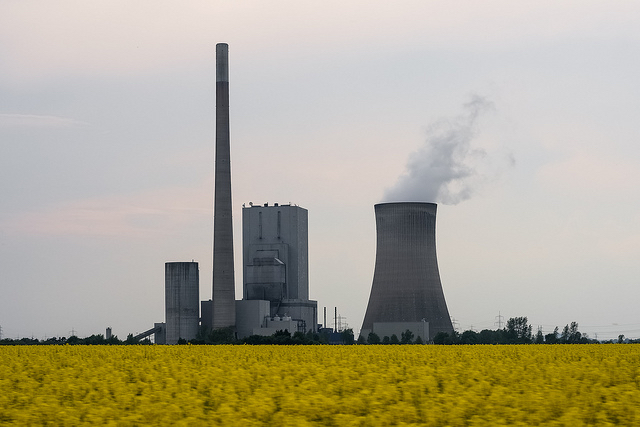 The result, says Oxfam, will be that G7 coal emissions alone could cost African countries over £40bn a year in climate-related costs by the 2080s. “The G7’s addiction to coal is hiking up costs for developing countries and putting more and more people on the frontline of climate change at risk of hunger. If G7 coal plants were a country, it would be the fifth biggest emitter in the world. They are still burning huge amounts, despite efficient, affordable, renewable alternatives being available,” said the report. Globally, coal is responsible for almost three-quarters (72%) of all power-sector emissions, and while more than half of today’s coal consumption is in 140 developing countries, the scale of coal-burning by the rich few is considerable. At Copenhagen climate summit in 2009, all countries agreed to prevent warming of more than 2C to avoid runaway climate change, but the world is now on track to warm by at least 4C. The UK could feasibly stop burning coal for its energy supply by 2023, according to Oxfam’s report. To do this, it would have to investing in smarter energy storage, reduce energy demand and improve energy efficiency, the report says. One of the sticking points in the climate talks is over how far rich countries should cut emissions. The Stockholm Environment Institute (SEI) finds that emerging economies are on track to reduce emissions more than their industrialised counterparts. The emission reductions of China, India, South Africa and Brazil could be slightly greater than the combined efforts of the seven biggest developed countries – the US, Europe, Japan, Canada, Australia, New Zealand and Russia by 2020. The Intergovernmental Panel on Climate Change (IPCC) has previously said that to meet the internationally agreed target to limit warming to below 2C, global emissions in the electricity sector would have to reach zero before 2050.